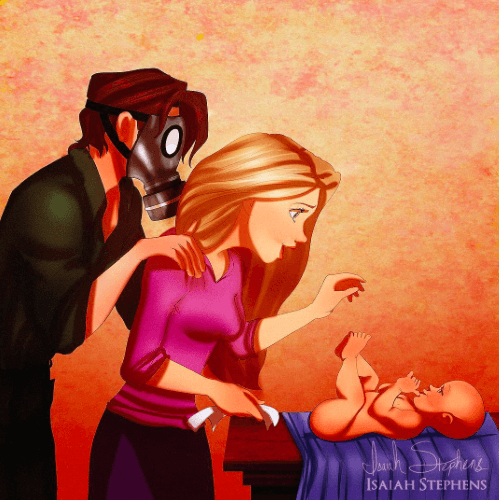 When a Disney movie ends, that is simply the end of one story. 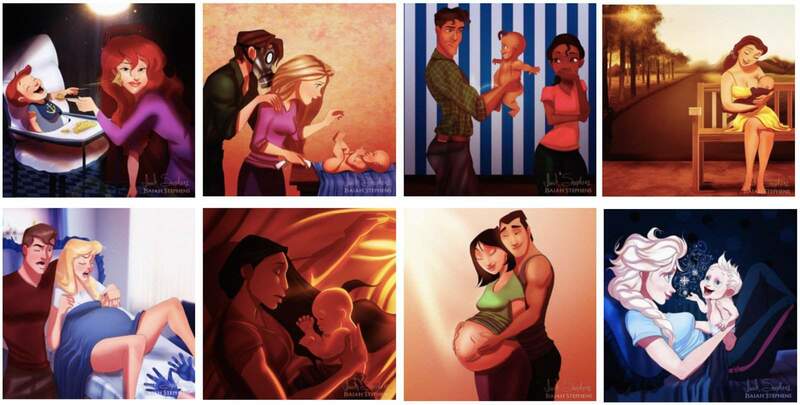 So it is safe to say that the characters continue to go on to live their lives. 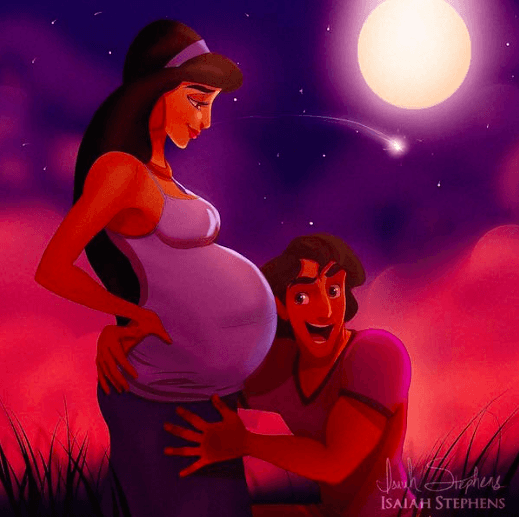 With this in mind, an artist has gone on to envision Pregnant Disney Princesses. The month of May celebrates a time when you get to take at least one day out of the year to spoil and make special acknowledgement of your wonderful mom (other than birthday’s and Christmas time). 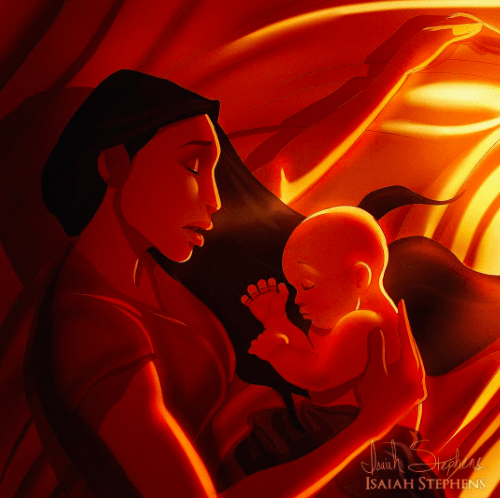 Although Mother’s Day has passed, we thought it was worth sharing artist Isaiah Stephens work. 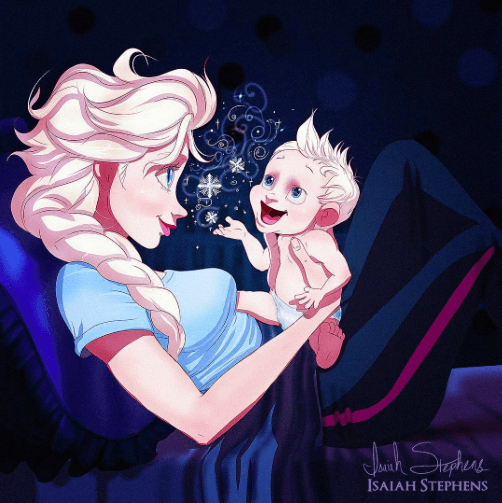 Stephens was asked by Cosmopolitan to illustrate some of our favourite Disney Princesses, and the oh so popular “Let it go” queen, as moms and moms to be. 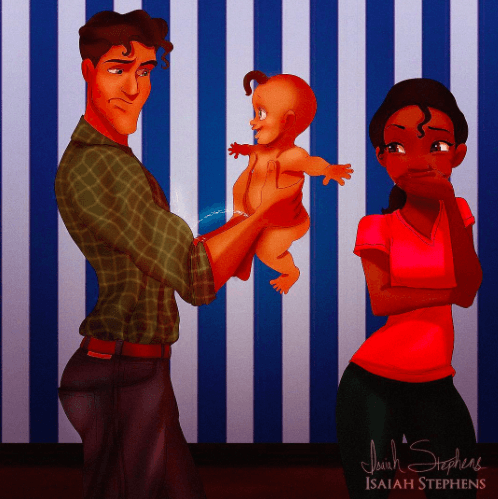 I guess no one would have thought that Disney’s princesses would go on to pop out some babies, however Stephens illustrates and imagines this exact scenario in beautiful and interesting ways. 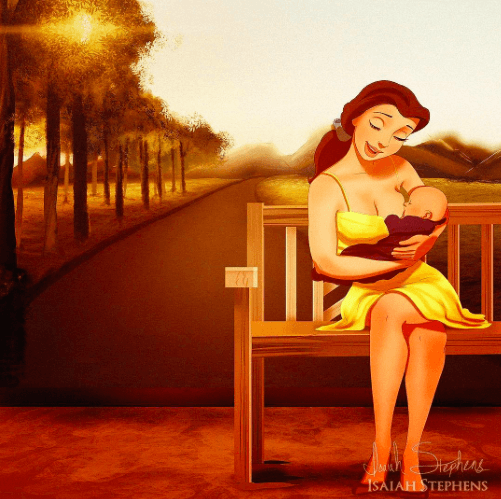 My favourites include Belle who is sitting on the bench breastfeeding her baby, which is no doubt in reference to the current debates about whether moms should be able to breastfeed in public [yes, they should be]; Aladdin and Jasmine who look like they are about to have triplets given the size of Jasmine’s pregnant belly; and beloved Aurora, from Sleeping Beauty, who is pictured with her prince charming right in the thick of giving birth. 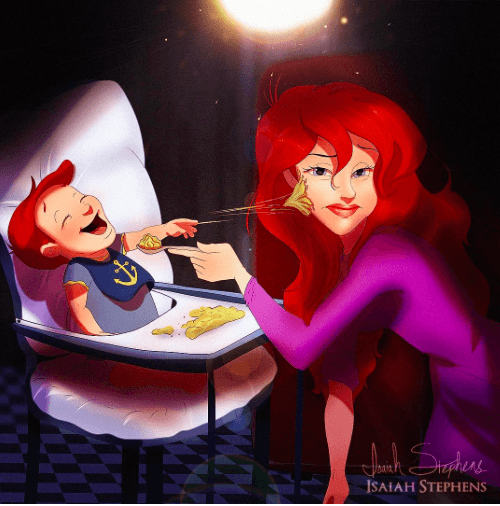 The illustrations are creative, entertaining and beautiful reminders that moms exist everywhere, including in the Disney universe, and they all deserve to be celebrated. 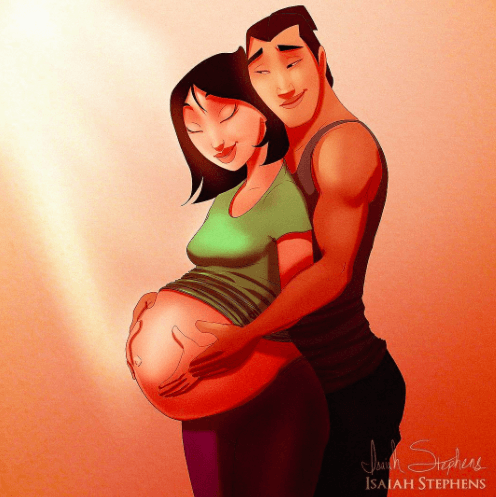 If you enjoy these illustrations, especially if they bring smile to your face, then you should definitely check out and support more of Isaiah Stephens’ work via his Instagram as well as his Facebook page. Tiffany is a witty and rock loving musician who knows more about drums than she does about Google. Her lightning fast and tightly controlled musical reflexes ensure that she stays one step ahead of the Dyad Corporation and their evil Neolution endeavours.